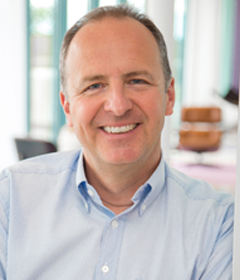 Mr. Frédéric Brunier is the head of Accenture‘s Business & Technology Strategy practice in the German spoken area and based in Zurich. Mr. Brunier works on a range of C-level relevant themes, pre-dominately Disruptive Business Models and Digital Growth Strategy’s, Technology Innovation Led Transformation, Operational Excellence and M&A. He is active at various Global Universal, European Private Banks and Capital Market firms. Mr. Brunier holds a Master of Science from the University of Nuremberg, Germany and an MBA from Fuqua Business School, Duke University, USA. 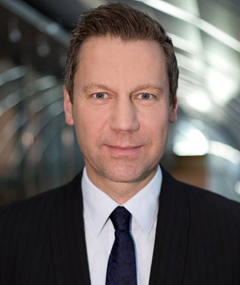 Mr. Pinkl is the lead of Accenture’s Technology business in Austria, Switzerland, Germany and Russia (ASGR). He joined Accenture right after his studies in Computer Science back in 1993. For several years Mr. Pinkl worked mainly in the Financial Services industry practice where he held diverse leadership roles and gained deep expertise in managing large scale projects, complex technical architectures and IT sourcing strategies. Since beginning 2016 he has been leading the Technology business across all industries in the ASGR region (role expanded to include Russia in 2017) which covers Accenture’s full range of System Integration, Application Outsourcing and Infrastructure services. 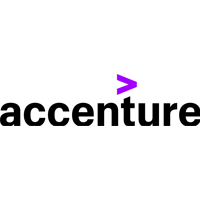 In 2009 Mr. Pinkl took over the leadership of Accenture’s Financial Services Technology business within Austria, Switzerland, Germany (ASG) and later in 2013 for all Europe. Since beginning 2016 he has been leading the Technology business across all industries in the ASGR region (role expanded to include Russia in 2017) which covers Accenture’s full range of System Integration and Application Outsourcing services. In his role as ASGR Technology Lead Mr. Pinkl is focusing on operational excellence, while he is also passionate about new technologies and it is one of his main priorities to drive innovation in Accenture Technology.